A life lived should be celebrated without the stress of making tough decisions regarding funeral arrangements. Taking the time to plan out the details of your funeral service is a gift to your loved ones. 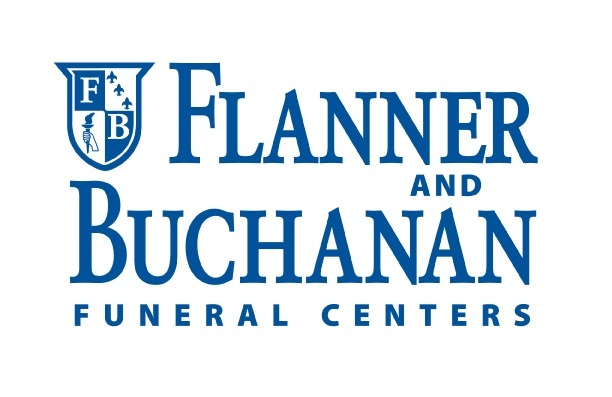 As part of my job in Hospice, I had the opportunity to complete basic training in cremation and funeral services at Flanner and Buchanan. 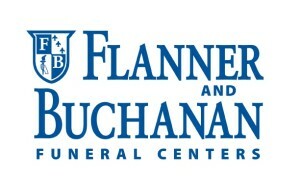 Flanner and Buchanan opened the first crematory in the state of Indiana in 1904. The process of cremation is one option for preparing the body for final disposition. There are many options for a cremation service. Funeral Home Service companies encourage families to customize the service in a manner that pays special tribute to their loved one. A memorial service or gathering of remembrance can take place with or without the urn present. Every state has a law that is very specific about who has the right to authorize a cremation and the funeral home must follow the statue. Can a cremation be stopped? Yes! However, the person granted authority for the funeral decisions must provide written instruction to the funeral home/crematory revoking their authorization. How long do you have to wait for a legal cremation? In most states, human remains will not be cremated less than 48 hrs after the time of death listed on the death or coroners certificate. There are exceptions for religious beliefs and customs or if there is a transfer to or from another state. What procedures are in place for cremation assurance? The crematory technician will review all pertinent cremation paperwork. This is to ensure all approved documentations and authorizations are in place. A registry is dated and initialed by certified technicians before and after the cremation. Documents are placed outside of the cremation chamber during the process. In addition, the stainless identification tag is placed in the cremation chamber with your loved one. Once the documentation is verified, the technician will proceed with the cremation. How do you select a crematory? If possible, try to select a funeral home that owns the crematory. This ensures that your services are handled and managed by certified staff and your loved one never leaves their care. Is embalming necessary for the cremation process? No, it is not necessary to embalm. However, if the family chooses to have a public or private viewing prior to cremation it is highly recommended. What container is required for the body for cremation? State laws vary. However, the majority of states require that human remains must be delivered to the crematory in a casket or alternative container. The funeral home or crematory cannot require that a casket be purchase? If there is a public viewing prior to cremation, a casket must be purchased. What is an alternative container? The alternative container for the actual cremation process is usually a cardboard box or a wooden box. Can the alternative contained be decorated? Flanner and Buchannan of Indiana allows families to customize the alternative container. How is the body safeguarded for cremation? In order to safeguard the identity of your loved one, a personal identification band is placed on your loved one at the moment of arrival? What is a cremation tracking system? A reputable cremation service will have a tracking system that assigns an identification number to each individual. The number is used to track every phase of the cremation process. Personal belongings are cataloged and place in a secure area for return to the family? How do you prepare the body for cremation? Your loved one will be washed and dressed in clothing provided by the family. A reputable crematory and/or funeral services company will ask a family member or designated representative to positively identify him or her prior to cremation. How is the body placed in the crematory? The body is dressed and placed in the alternative container prior to cremation. According to Flanner and Buchanan of Indiana, the entire cremation process can take up to 5-6 hours. Can families witness a cremation? Every funeral company has their own policies. However, the crematory of Flanner and Buchanan of Indiana allows family representation during the actual time of cremation. A viewing room with a television is also on site. I observed two major steps in the cremation process. The first step turns the body into bone fragments. (After the initial cremation, there is no evidence of the clothing or alternative container.) The bone fragments are removed from the crematory and any additional metal debris is removed. (dental, artificial body rods, and joint replacements). The technician then transfers the bone fragments to a separate area that allows him or her to place the bone fractures in a small appliance that reduces the bone fractures to ashes. The cremation process affords many creative and personalized options for the family. Cremation remains can be placed in a cemetery, or placed in a niche. Some cemeteries provide lakeside scattering areas or gardens. Scattering is a common choice for many families. A customized scattering box allows you to carefully scatter the remains of your loved one on a private property or landmark that was significant to your loved one. Can cremated remains be mailed? Yes, however, only the USPS currently accepts cremated remains and they must be sent via Registered Mail. UPS and FedEx do not accept cremated remains. If the family chooses to send the remains using one of these providers and does not disclose the contents, they have no liability. Can cremated remains be divided up among loved ones? Yes, but this request should be discussed with the funeral/crematory company. Can the cremated remains be placed with a buried loved one? Yes, depending upon the cemetery’s policy, you may be able to have your cremated remains buried on top of the casketed remains of your loved one, or in a space that is provided next to him or her. Choosing a lasting tribute for yourself or a loved one can be very emotional However, it is very important to seek our professional funeral planners in your state that are trained to assist you with options that are appropriate for your family, friends, and future generations to pay their respects.